We at Hammer-IMS bring products to the market for clean and contactless measuring of thicknesses and basis-weights of all kind of flat products. Marveloc 602: a millimeter-wave measuring platform which is affordable in price and available as an OEM-version for integrators, value-added resellers and other partners. The Marveloc 602 is the ideal trade-off between cost-price and performance, compared to other high-frequency alternatives. Turn-key industrial installations, among which our Marveloc 602 - CURTAINs. In these kind of industrial installations, the Marveloc 602 platform meets inline and customer-specific demands for thickness or basis-weight (grammage) measuring in various markets among which: nonwoven industry, textile coating industry, plastic film industry, plastics sheet industry. We serve new installation projects as well upgrades of existing production lines (retrofits). Hammer-IMS excels in a multi-sensor head approach, providing an increased visual on the produced material. This is unseen in the market. 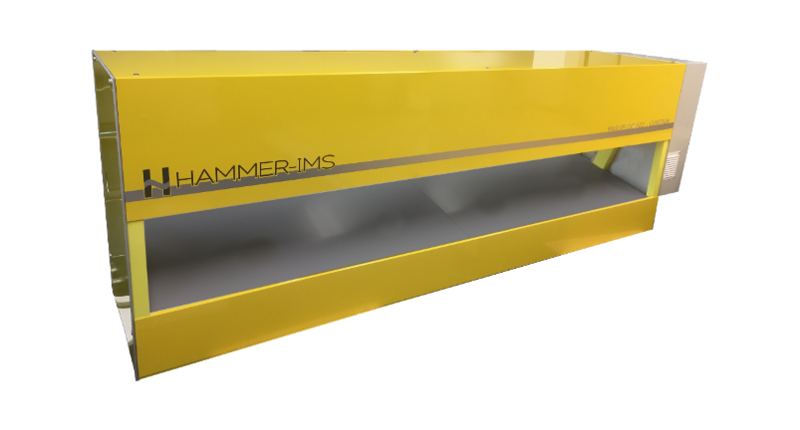 We at Hammer-IMS know that we can make the difference if your industry is either: plastics (sheet and cast film), textiles, non-wovens, glass, glass-fiber based composites, wood, mineral wool or construction materials.